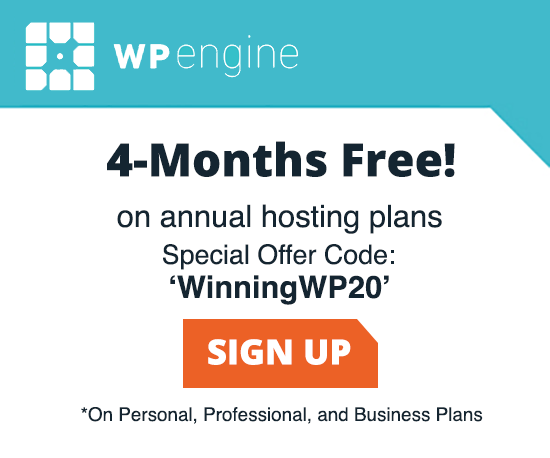 WPEngine Coupon Code 2019 - 4 Months Free Hosting (Special Deal)! When it comes to top-notch WordPress hosting, WP Engine are pretty much the leaders of the pack! Not only do they offer everything you’d hope for, such as lightning fast servers, amazing security (including free daily backups and malware scanning) and outstanding 24/7 customer support, they also continually push the limits of technology. They strive to be one of the first specialist WordPress hosts to offer such things as HTTP2, PHP 7 and a range of other advanced features that will invariably benefit anyone with a mind to improve their web-based business. What’s more, since we’ve been promoting them here on WinningWP for so long now, after much negotiation, we’ve managed to secure a pretty-amazing — and exclusive — deal: A WP Engine Coupon Code giving an instant 20% discount off the first payment made on both monthly and annual options. 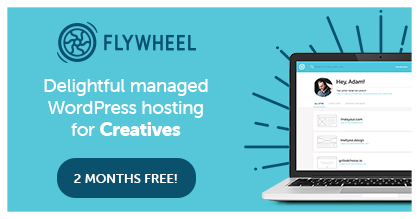 This is in addition to the two months free hosting you’d normally receive as an incentive when you sign up for an annual plan, equating to the equivalent of a whopping FOUR months free hosting when you prepay for a year!